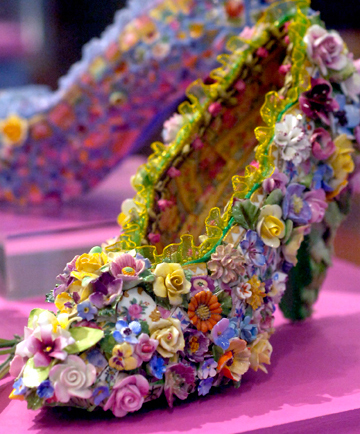 Extravagant china flowers in a versailles froth. 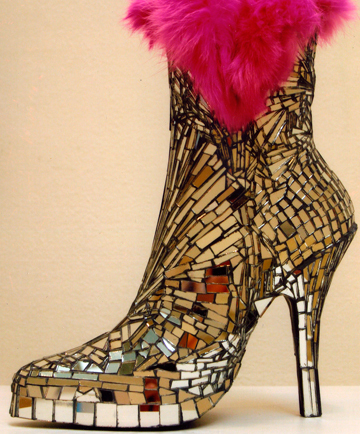 Ankle boot sculpture - shards of mirror with hot pink fur. 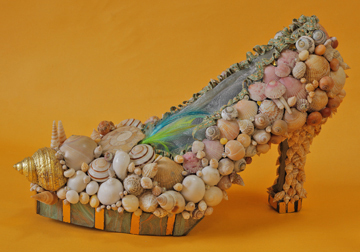 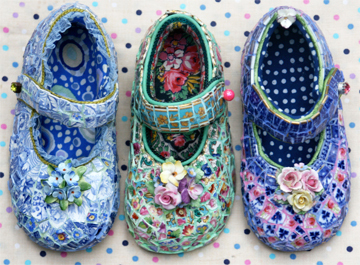 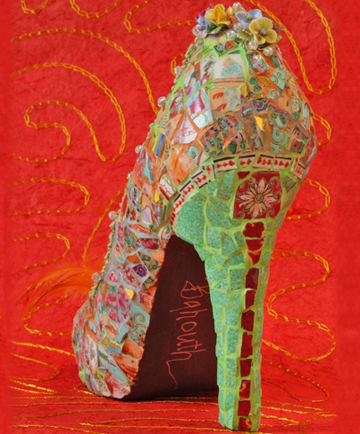 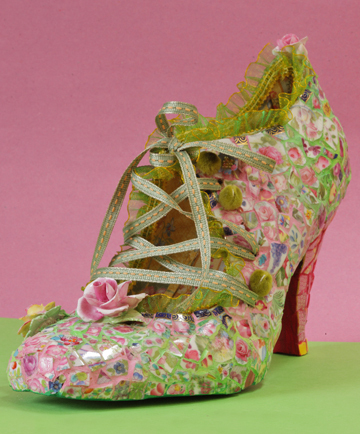 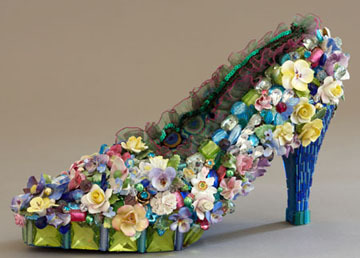 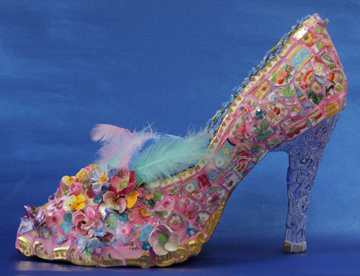 Fantasy shoes of broken china.